Washington D.C., June 28, 2018 – The Partnership for Transparency and the Cyprus Integrity Forum signed a memorandum of understanding on June 26, 2018 for cooperation aimed at fighting corruption and promoting transparency and integrity through avenues such as seminars, publications, consultations and research and development programs. 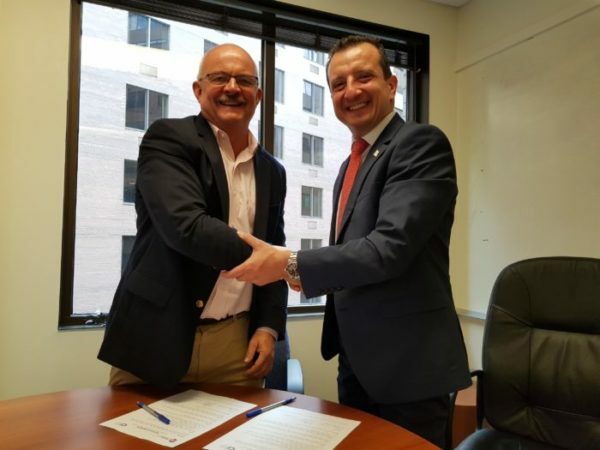 The agreement signed in Washington DC between Mr Marios Skandalis, President of CIF and Simon Gray, Development Director at PTF. Partnership for Transparency looks forward to a successful collaboration and is glad to strengthen ties with a key, like-minded organization in Cyprus.